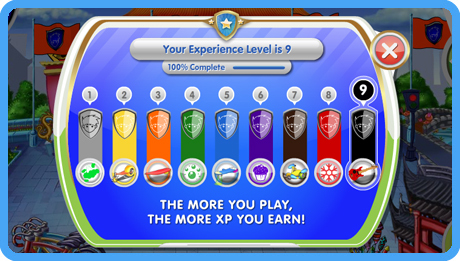 One aspect of gamification that I decided to try to integrate into my Fall classes is that of Experience Points (XP), which involves using the same kind of points system that games use to help players feel rewarded for completing certain tasks and to allow them to advance to different levels of experience, providing them with a goal to attain (the highest level) and a visual measurement of their progress toward that goal. I’ll be honest, I don’t think that I integrated XP into my classes very effectively. I will outline how I integrated XP, which aspects of that integration were mistakes, and how I plan to do it better next semester. First, I determined the maximum amount of XP that a student could earn simply for doing all of the required assignments in the course. Using this as my baseline, I assigned XP to each assignment, with the difficulty of the assignment determining how many XP it would be worth. I also determined which assignments would receive XP based upon completion and which would receive a variable amount of XP based upon quality of work and effort. I created a spreadsheet for students that listed each assignment and the number of XP that could be earned for completing them and included the possible XP earned on the instructions for each assignment. Next, again using my max. XP as my baseline, I created five levels, with each level corresponding to a letter grade on the 4.0 grade point scale. I gave each level a name that related to our course theme and included a list of the levels and the XP needed to achieve each on the syllabus. Since I needed an easy way to keep track of XP and to allow students to visually monitor their progress and current level, I decided to use Blackboard’s grade book tool, even though I loathe Blackboard. The most important determining factor for me for using Blackboard was the fact that a colleague who is also interested in games-based learning had created a leaderboard block that can be placed on the homepage of a class’s Blackboard course shell that is tied to the number of points a student has in their Total column in the grade book tool. I decided that I did not necessarily want to tie participation XP because I have found that by designating a certain number of comments to make on their peers’ bog posts, I encourage students to see participation and commenting as a hoop to jump through and they will resort to focusing on quantity rather than quality. So, I developed a holistic rubric for participation and made the participation grade 1/3 of a student’s final grade, with their level making up another 1/3, and their final portfolio finishing out their grade. Firstly, I believe it was a mistake to allow students to see how many XP each assignment was worth. In reality, a player doesn’t begin a game with a spreadsheet of actions and how many points they’ll earn for completing them. A player doesn’t know how many XP they will earn for completing a task or puzzle until it’s completed; this increases the element of uncertainty that, according to Tom Chatfield, is one of the ways in which games reward the brain. This uncertainty motivates players to complete as many tasks and puzzles as they can because they never know what kinds of rewards each will provide. Also, while students responded very positively to the leaderboard and found it to be a motivating factor, the fact that their XP were recorded in Blackboard’s grade book meant that, rather then receiving 50 XP for an assignment, for example, a student would receive 50/70 (or whatever amount the maximum number of XP available and earned), transforming XP into a grade. Rather than feeling rewarded for earning 50 XP on an assignment, students began to focus on the fact that they didn’t earn the maximum amount of XP and would often want to talk with me about their “grade” on an assignment. Because XP were situated within a context that students identify as relating to grades and because Blackboard required me to enter a total number of possible points for each assignment, thereby redirecting students’ focus towards the points they didn’t earn, by the middle of the semester the novelty of XP and the leaderboard had quickly worn off and students saw themselves as being at the mercy of their XP rather than seeing themselves as on a quest to earn as many XP as possible. I believe that this feeling was reinforced by the fact that I had aligned levels with a letter grade, which may have devalued the game for those students who began to fall behind in XP. I cannot be certain that these students gave up because they viewed all of their effort as directly related to a certain grade or if they were already among those students who, statistically, are predetermined to disengage and/or disappear. For one, I will not advertise the number of XP that can/will be earned for completing assignments and tasks. While I will keep the method I used for determining XP and levels, I will increase the uncertainty for students by keeping that information a secret that will need to be discovered through effort. Levels will remain aligned with XP, but will not aligned with a letter grade. I will also not use Blackboard to track XP and levels. Instead, I will use Google Drive’s spreadsheet tool to create a system for tracking each student’s XP and create a leaderboard chart based on the column for their total XP. Because XP and levels will no longer be tied to grades, I can give students access to the chart and embed the leaderboard on the class website (I will have students create an alias in order to maintain anonymity). I also plan to hide more Easter eggs throughout the game in the form of bonus XP as a way of rewarding desired behavior, such as using the Writing Clinic and significantly revising and/or editing their drafts before publishing them. I’ll let students know that these opportunities exist, but they’ll have to work to figure out which behaviors they’ll be rewarded for. Because their XP and level will no longer be aligned with a grade, I will need some way to determine how these aspects of a student’s gameplay impact their final grade in the course. I’ve decided that rather than imposing a weighted system for each major component of student behavior, I will use the portfolios that students complete at the end of the semester as a way for students to summarize and evaluate their gameplay, looking at XP and level, participation, and their progress as a writer in order to determine what character class they feel they fall into. Each character class will represent certain attributes and will be aligned with a level of gameplay. While I won’t explicitly link their character class to a grade, I will ask students to argue for the grade that they feel they deserve in the course based on the evidence they use to assign themselves to a character class. Gamification involves trial and error, just as any instructional method does. While I am dissatisfied with the fact that my FYC students began to focus on grades to an extent that I have been able to avoid for the past few years with a switch to a portfolio assessment system, I still believe that using XP and levels can have a positive impact on student motivation. It is especially helpful to those students who have difficulty transitioning away from a focus on grades and who need a way to visualize their progress and standing in the course. I hope that by integrating the changes outlined above, I can use XP and levels more effectively. Have you had success integrating XP and levels into your classes? If so, I’d appreciate you sharing your experiences and/or techniques with me and my readers. Thanks! I’d like for students to be able to see how many XP they are earning for each task they complete, since some will be worth more than others and some XP will be variable in that the amount they earn will be based on the quality of their work. I’ve discussed the idea of a Google spreadsheet with screen names to ensure privacy with my current class and they all said they would like that much better than Blackboard’s grade book. But your example of a leader board will be very helpful! I am using Google Sheets. It’s pretty easy to set up your XP spreadsheet and then create a Leaderboard on another sheet that will auto-generate from the XP spreadsheet, so that all you have to do is fill in the XP for each assignment.